Happy Motivational Monday! I'm so glad that it's October--all week long it has really felt like fall. The leaves are so pretty here in Michigan at this time of year! And the running weather has been ideal (minus some rain). On Wednesday, I made the decision to go back to doing Weight Watchers instead of the intuitive eating. I've had a really great week, and I definitely feel it was the best decision for now. My trip to Portland in March has made me really want to focus on getting back to goal and in my best running shape! I think my proudest moment this week was on Friday, when I had to do my long run in two separate segments due to thunderstorms. It would have been really easy to just quit after the first (4-mile) segment, but later that afternoon, I went back out and ran another 5 miles for a total of 9 miles. I enjoy running in the rain, but not when it's pouring so hard that my feet are completely soaked. I "met" Pam several years ago on SparkPeople.com, and she's always been an inspiration to me. She lost 178 pounds, and has kept most of it off for the past 3 years (going up and down a little just as I have). 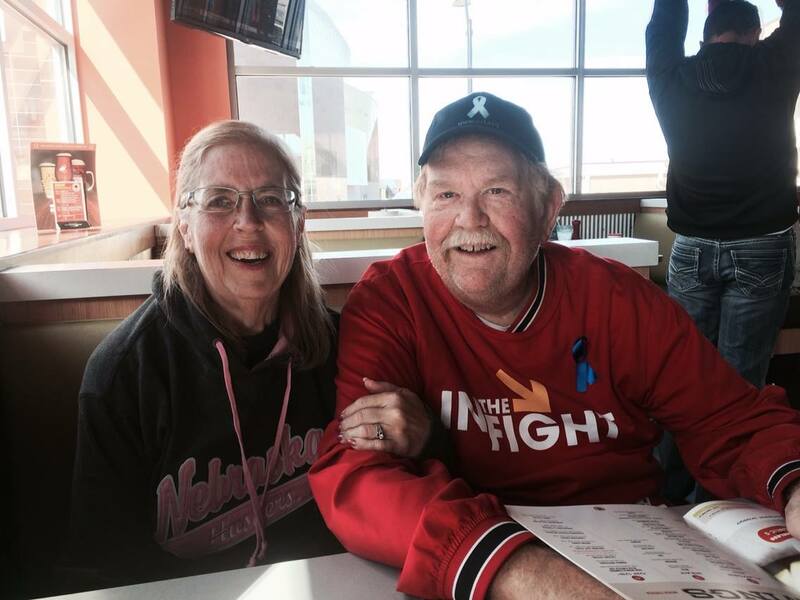 Last year, she was hit with the devastating news that her husband has Stage IV prostate cancer. She slipped a little with her eating habits, and gained 32 pounds back. Since June, however, she's lost 28 of those pounds and is now happily below her goal weight again. But the real reason for her Motivational Monday is that her whole family just completed the Zero Prostate Cancer 5K Run/Walk. Her two sons ran the race, while she and her husband walked. They were the very last participants to finish the course, but Pam said that five years ago, at over 300 pounds, there was no way she could have walked from the parking lot. And there she was, in her 60's, walking a 5K with her husband (who is battling Stage IV prostate cancer that has spread to his hip bones)--that's a pretty proud moment!! 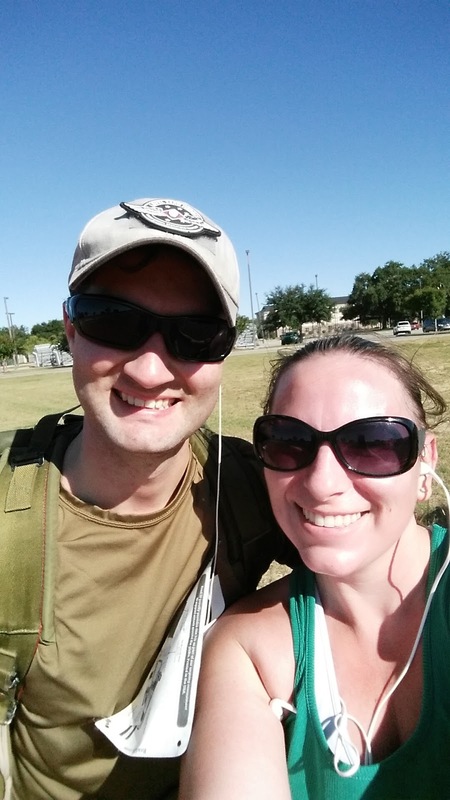 Kelly just ran her first 5K at the Keesler Air Force Base in Mississippi! She was using the Couch to 5K app to train, but her training was derailed when she got sick--so despite being on Week 6 of the 8-week program, she crushed her goals. Her first goal was to run the entire race, and the second was to finish under 45 minutes. Her finish time was just over 36 minutes! Her husband, an Air Force reservist, stayed with her the entire time, cheering her on when she needed it most. Jen (far right) accompanied her friends, Christina, Lindsey, and Rachel, as they ran their first half marathon! 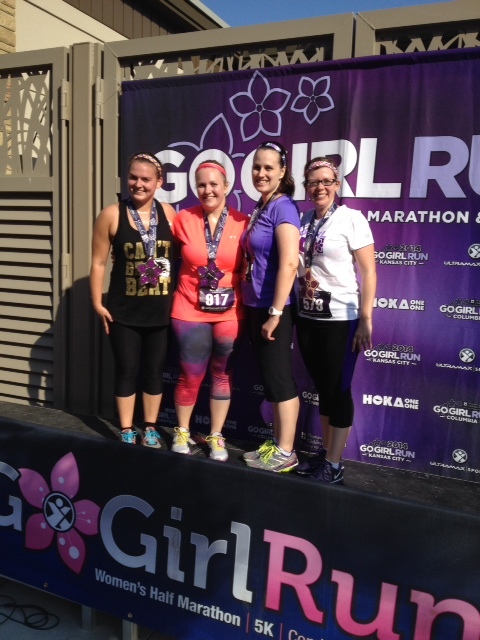 They did the Go Girl Run in Kansas City, and had a goal to finish under 3 hours. They finished in 2:53, and are already fired up for their next half, which is in three weeks! 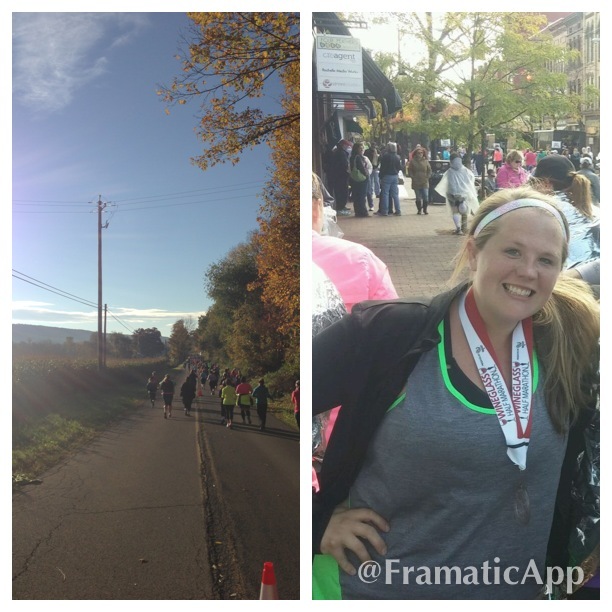 Stephanie just ran her first 10K! After years of yo-yo dieting, she decided to start Weight Watchers and start to run consistently. She and a friend signed up for the Twin Cities 10K (as well as a half-marathon, which is later this month). It was a little chilly at the start, but she had a great race and really enjoyed it! Thanks Katie!! Appreciate the kind words! God bless Pam and her family.